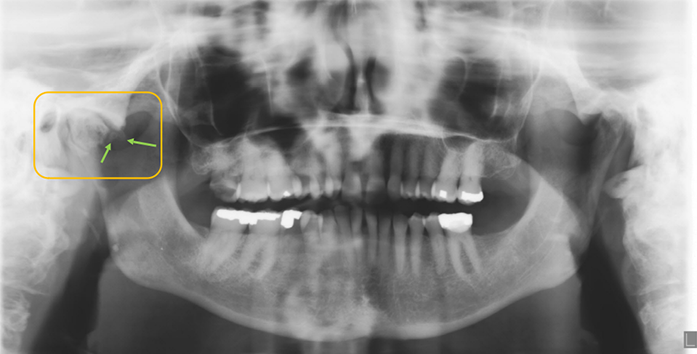 Osteoblastomas are uncommon aggressive benign tumors of the osteoblasts often seen in the spine and long bones of young individuals, but are rare in the jaws and craniofacial regions. These conditions have a male predilection and are often associated with pain and swelling. 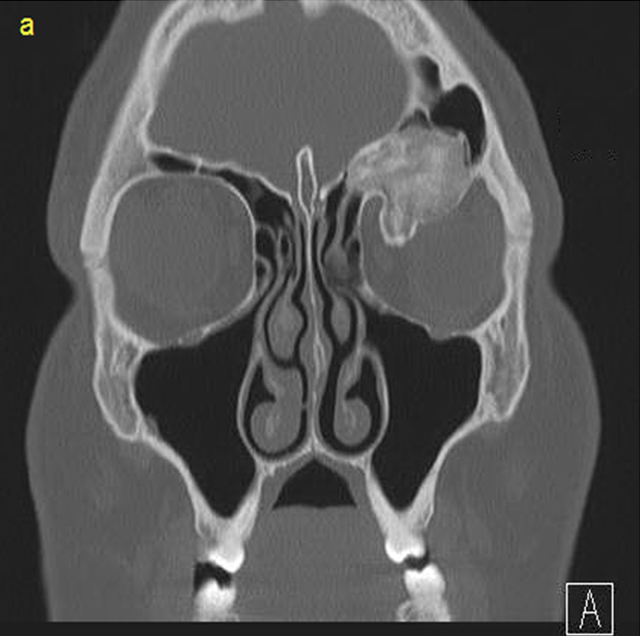 Here we report an unusual case of an osteoblastoma in a 19-year-old male in the craniofacial region who had no pain but reported with a droopy left eyelid and left eye swelling with difficulty in opening the eye. 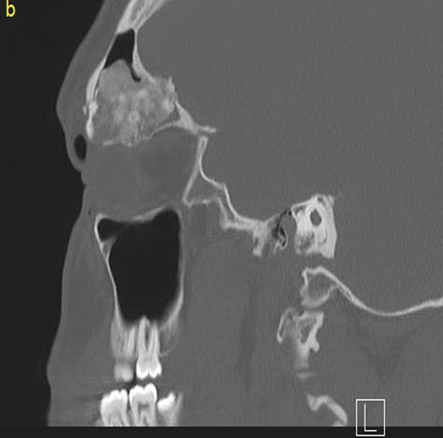 Computed Tomography (CT) images revealed an expansile ground glass osseous lesion with diffuse borders arising within the left frontal sinus, extending posteriorly to break through the posterior wall of the frontal sinus and extending intracranially and anteriorly through the floor of the frontal sinus to the orbit. The lesion produced significant subcutaneous emphysema of the eyelid and mass effect on the globe. A 19-year-old Caucasian male reports a droopy left eyelid for the past six months and presents with left eye swelling with difficulty opening the eye, but there was no pain. The medical history was unremarkable. The patient presented with left periorbital swelling, inferior displacement of the orbit and diplopia. 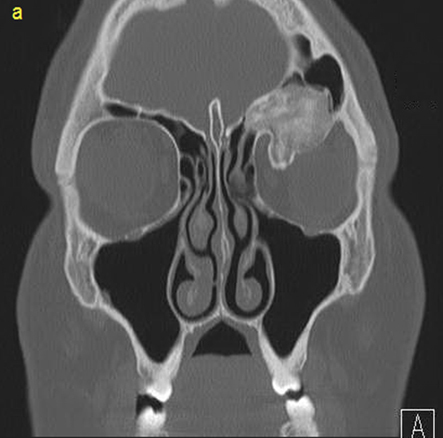 Computed Tomography (CT) images revealed an expansile ground glass osseous lesion with diffuse borders arising within the left frontal sinus, measuring approximately 3.4 x 3.4 x 3.7 cm. 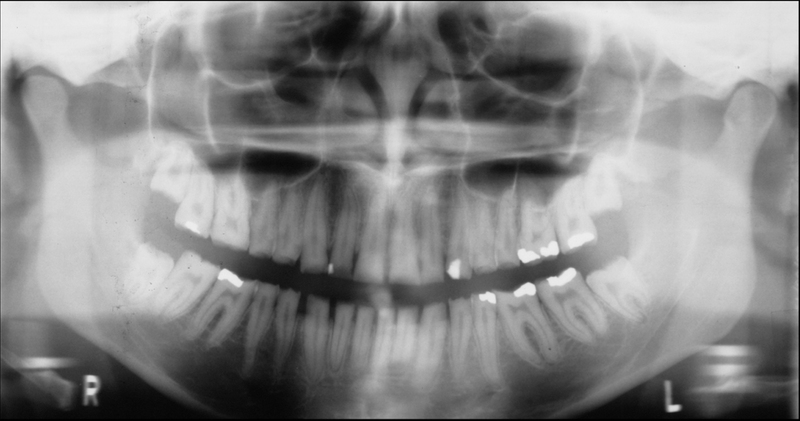 Posteriorly the lesion appeared to break through the posterior wall of the frontal sinus and extended intracranially. 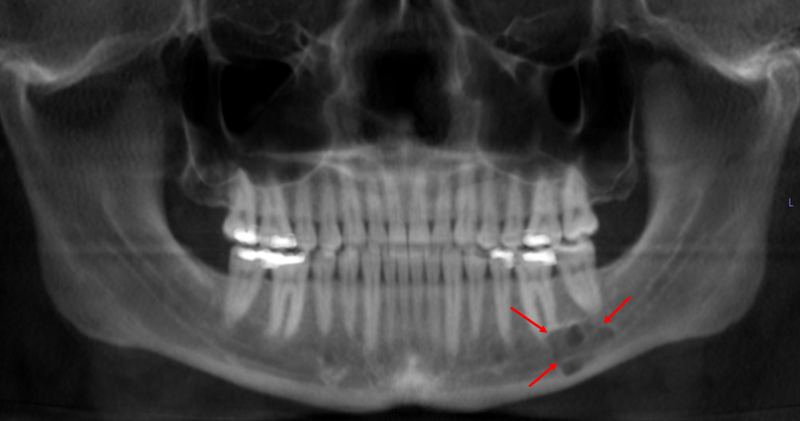 Anteriorly the lesion extended through the floor of the left frontal sinus and invaded the orbit. There was significant subcutaneous emphysema of the eyelids. The lesion produced mass effect on the globe. Osteoblastomas in the cranial regions typically present in the first three decades of life with a mean age of 20-24 years 7-9 . Cranial osteoblastomas have a female predilection 11 , unlike osteoblastomas in general which have a male predilection and generally are seen in the age range of 11-30 years. The severity of this condition depends on the size of the entity and what effects it has on adjacent critical anatomical structures. These effects could produce presentations as simple as pain to debilitating conditions like seizures 7, 8, 10-13 . The clinical presentation often gets worse with progression of the disease. 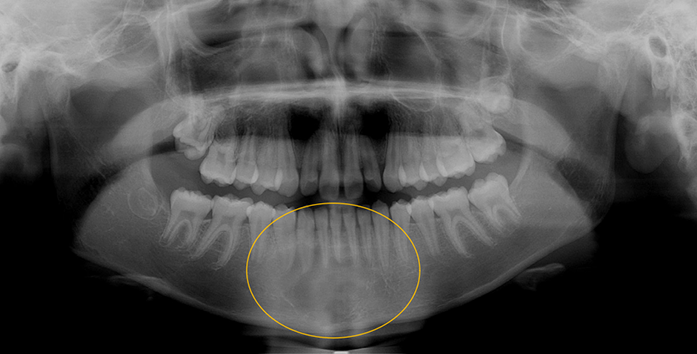 Benign osteoblastomas predominantly arise intraosseously and occasionally may arise from the periosteum when they are referred to as peripheral 13 . 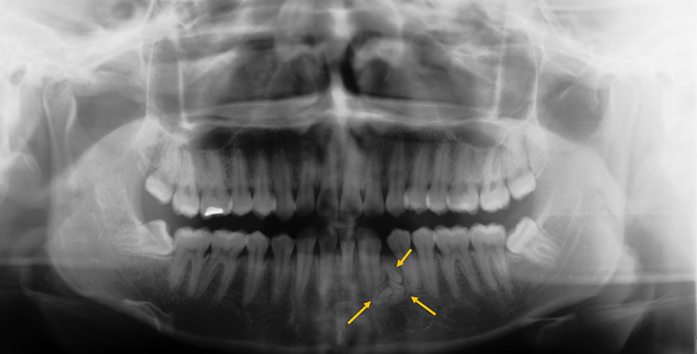 They may occur in any cranial bone but generally are more common in the base of the skull. Irrespective of which bone they arise from, they may have intracranial extensions, the severity of which often determines the symptoms and presentation of the affected individual. 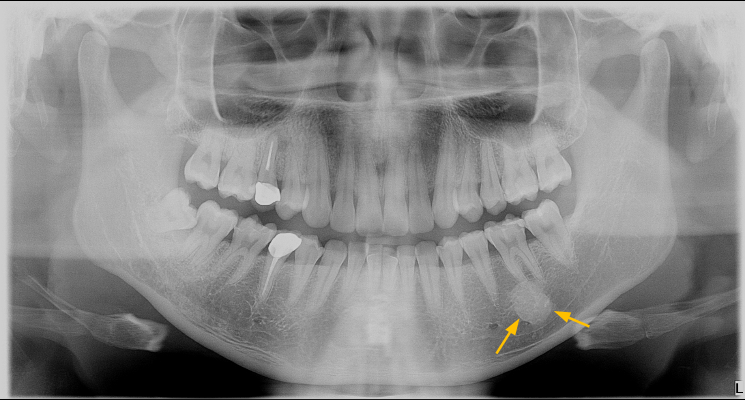 Those osteoblastomas, which effect the orbit generally, arise in the frontal or ethmoid or sphenoid bones. They often encroach into the orbit causing exophthalmos or swelling in the periorbital regions. Depending on the orbital involvement, they may cause any of the following symptoms including but not limited to pain, visual field defects, diplopia, blindness, or decreased visual acuity. Multi detector CT images is the initial modality of choice to evaluate the bony extent of these lesions, which often show mixed radiopaque-radiolucent areas which can be differentiated from the surroundings, the radiopacity-radiolucency levels may be extremely variable. The size of these entities generally vary from 2-10 cm in size. Other imaging modalities like MRI may be supplemented with CT images as these images help evaluate the adjacent soft tissues like the brain parenchyma. The intensity of these lesions on MR images range from hypointense to isointense on T1 and hypoinense to hyperintense on T2 images and generally tend to show heterogeneous contrast enhancement as they are highly vascular. Cranial osteoblastomas are treated by complete gross and total surgical resection. If completely removed, the recurrence is unlikely compared to subtotal resection. Cranial osteoblastoma are generally rare entities and need to be completely understood by comprehensive clinical and radiographic examinations to determine the severity of the presentation of the condition to the actual extent of the lesion including its effect on surrounding structures. There is a paucity of cases of cranial osteoblastomas in the literature and this condition needs to be evaluated and studied extensively for a better understanding. Unni KK, Inwards CY, Dahlin’s bone tumors. 6th ed. Dahlin’s bone tumors. Lippincott (Wolters Kluwer Health); 2012. Lucas DR, Unni KK, McLeod RA, et al. 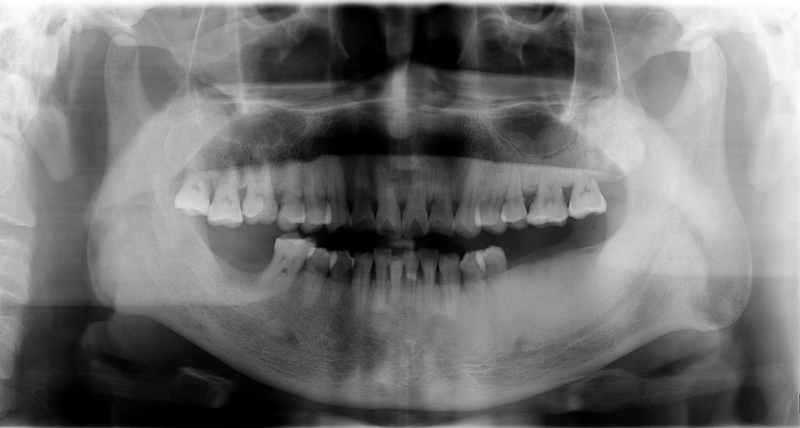 Osteoblastoma: clinicopathologic study of 306 cases. Hum Pathol 1994; 25:117–34. Miller C, Khan R, Lemole GM Jr, et al. 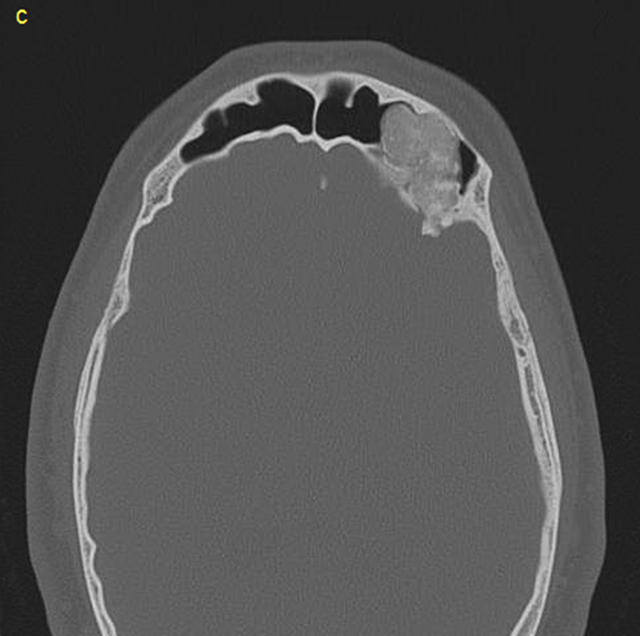 Osteoblastoma of the lateral skull base: work-up, surgical management, and a review of the literature. J Neurol Surg Rep 2013;74:37–42. 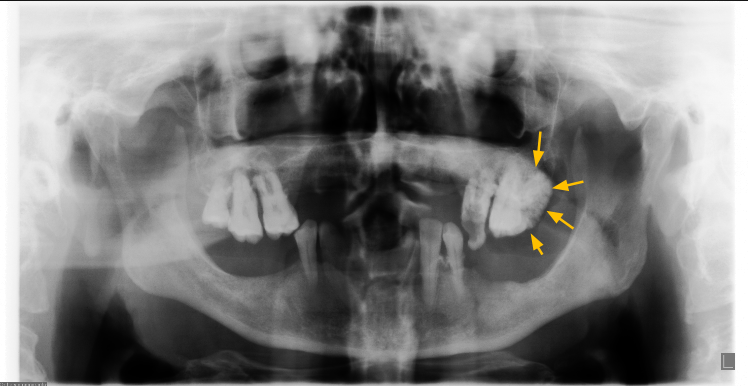 Kroon HM, Schurmans J. Osteoblastoma: clinical and radiologic findings in 98 new cases. Radiology 1990; 175:783–90. Meli GA, Meli L, Chiaramonte R, et al. Osteoblastoma of the orbit. 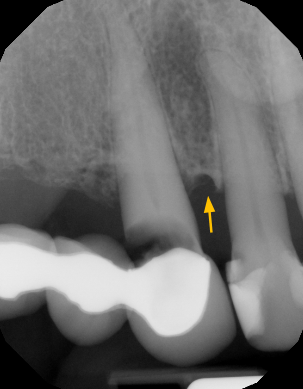 A case report and review of the literature. 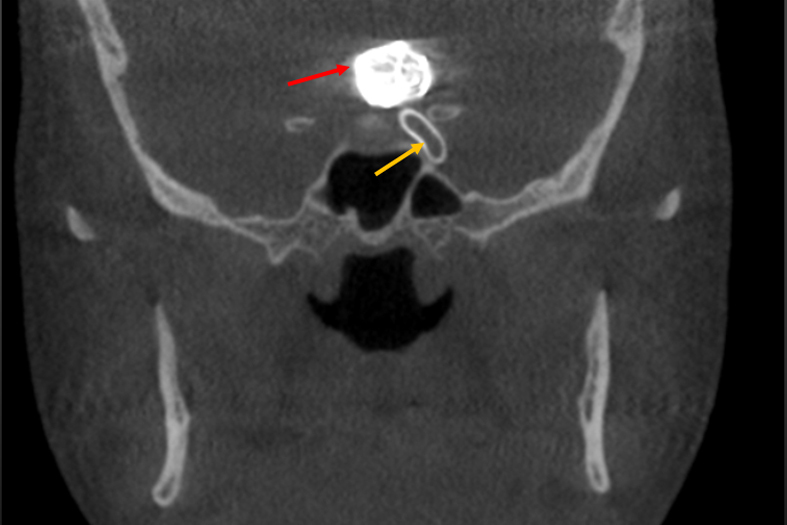 Neuroradiol J 2008;21:71–6. Loizaga JM, Calvo M, Lopez Barea F, et al. Osteoblastoma and osteoid osteoma. 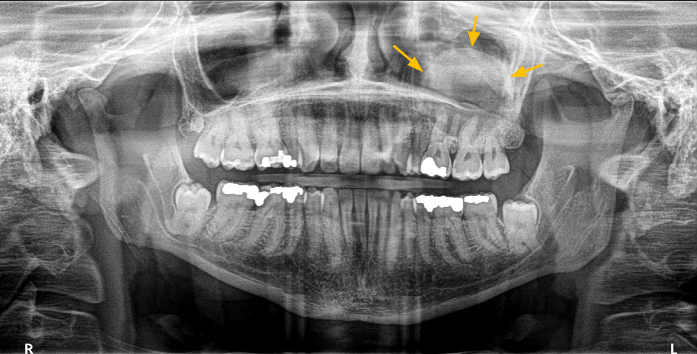 Clinical and morphological features of 162 cases. Pathol Res Pract 1993; 189:33–41. 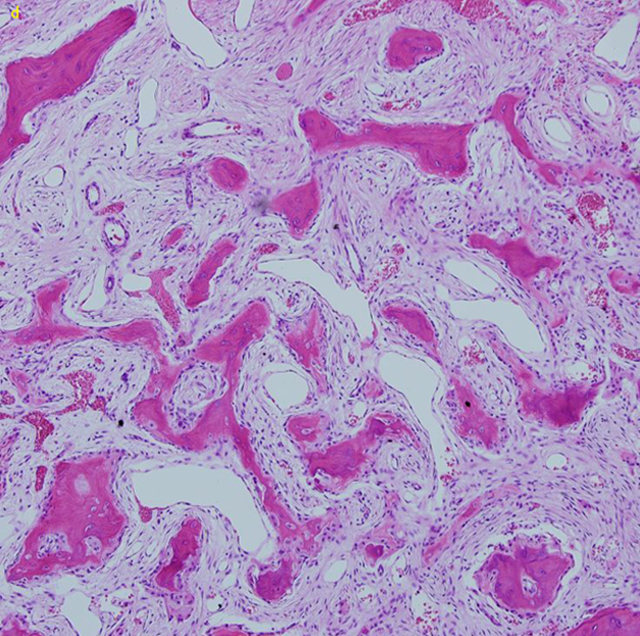 Shimizu N, Sakata K, Yamamoto I. Benign osteoblastoma of the temporal bone: case report and review of the literature. Surg Neurol 2006;66:534–8. Tawil A, Comair Y, Nasser H, et al. Periosteal osteoblastoma of the calvaria mimicking a meningioma. Pathol Res Pract 2008;204:413–22. Dorfman HD, Weiss SW. Borderline osteoblastic tumors: problems in the differential diagnosis of aggressive osteoblastoma and low-grade osteosarcoma. Semin Diagn Pathol 1984;1:215–34. Caltabiano R, Serra A, Bonfiglio M, et al. 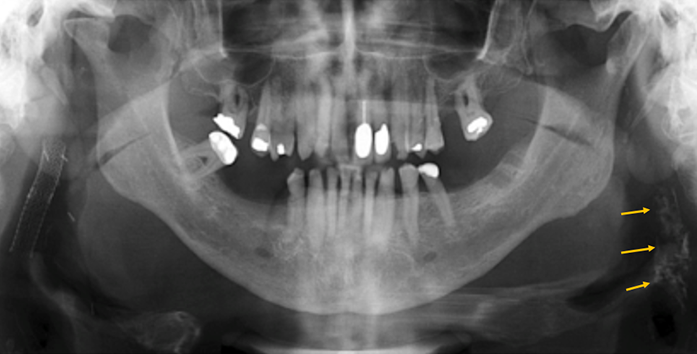 A rare location of benign osteoblastoma: case study and a review of the literature. Eur Rev Med Pharmacol Sci 2012;16:1891–4. Patel AA, Friedel ME, Liu JK, et al. 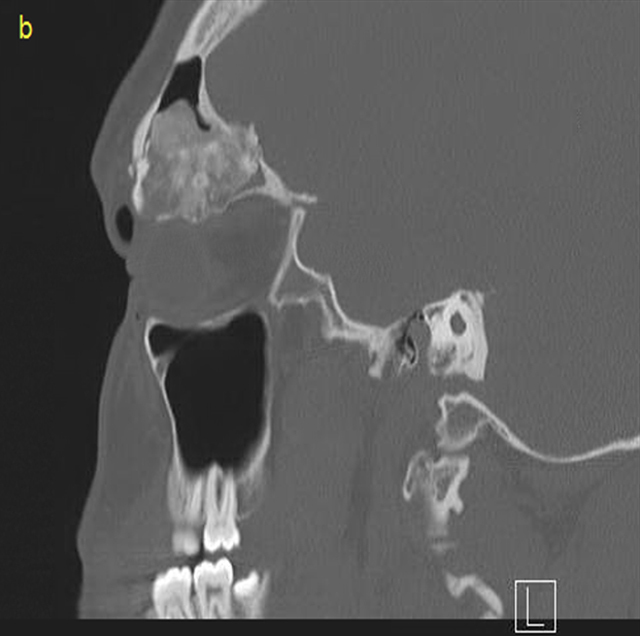 Endoscopic endonasal resection of extensive anterior skull base sinonasal osteoblastoma. 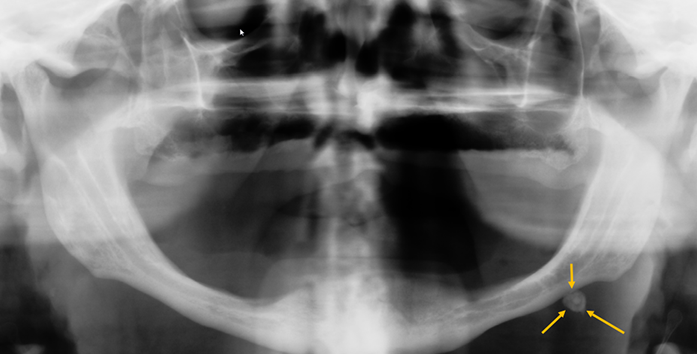 Otolaryngol Head Neck Surg 2012;147:594–6. Fletcher CDM, Unni KK, Mertens F, editors. World Health Organization Classification of Tumours. Pathology and genetics of tumours of soft tissue and bone. 3rd ed. IARC Press: Lyon; 2002.